Warner Bros. is bringing back Looney Tunes’ ill-fated, though equally determined, Wile E. Coyote for a new feature film titled Coyote Vs. Acme, as Variety reports. Director Chris McKay has signed on to produce. McKay, who made his directorial debut in 2017 with The Lego Batman Movie, will be joined by Jon and Josh Silberman as writers. You may know the sibling duo from their work on It’s Always Sunny in Philadelphia, Living Biblically and Bordertown. 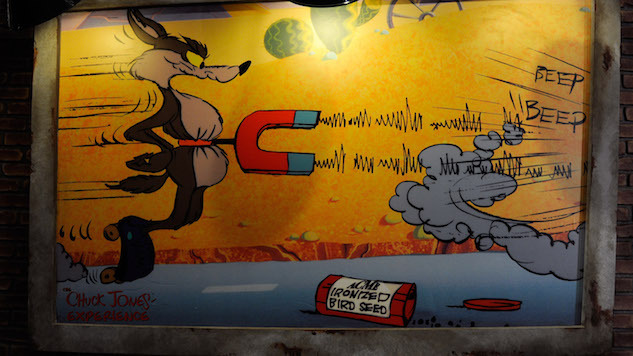 The cartoons—for those unfamiliar with Wile E. Coyote—often featured the canine chasing Roadrunner and setting traps for said bird before ultimately harming himself when those devices went awry. These devices were most often obtained from the Acme Corporation, which, in a turn from tradition, seems to be the coyote’s adversary for the forthcoming feature. Since its introduction in 1949 in the Looney Tunes cartoon “Fast and Furry-ous,” the character has never spoken. It will be interesting to see how the team at Warner handles this, as well as the role of Roadrunner (if not as the coyote’s principal nemesis), in the film. The announcement follows revived rumors that have suggested progress on the long-awaited Space Jam 2 and thus rekindled hope in LeBron and Looney fans alike. Find out where Wile E. Coyote landed on our 2010 list of the best cartoon characters of all time right here.